His maternal grandparents (my parents) however, are back in England and have seen him once when he was 3 months old, when they came over to stay for a month. We are shortly leaving to go UK ourselves (next month! Eeek! ), when Baby Z and my parents will be reunited once again, now at the age of 1 year and 5 months. He has grown into a quite the little human being since the last time they saw him, and it really got me thinking about the role of grandparents in the life of the little ones. You see, in the Indian culture, it is very much common for the newly wedded daughter to stay with her in laws, and so the in laws are very much an active part in the upbringing of the grandchild. This means that the maternal grandparents are quite often not able to witness all the joys of their grandchild. In my case, my parents are in a different country, which makes it all the more difficult for a relationship between my child and my parents to blossom. 1. Skype! Where would we be without this little miracle? It is installed on the iPad, as well as on my iPhone, and we try to Skype as much as possible. It’s the next best thing to actually being together. 2. Daily Photographs and Videos. Every morning, without a doubt, my mother will whatsapp me asking about Baby Z, and every morning I will respond with photos or a video of his latest antics. This way, they do not miss out on a single day of Baby Z. It keeps my parents in the know, and they are able to witness his early morning grumps or smiles. 4. Visit as often as possible. As mentioned before, my parents have already visited when Baby Z was 3 months, and will see him again next month. They will also be visiting us in December, which I am very much looking forward to. 5. Ask questions. This one happens by default. I am often messaging my mother with questions in regards to baby related topics, or she will message me with advice when I give her updates. It means that my parents, though thousands of miles away, still have an input in Baby Z’s life. I am sure that once Baby Z begins to recognise his grandparents and be able to talk and write, I can think of even more ways of building his relationship with his grandparents by perhaps sending hand written cards and so on. I hope that these tips can be of some help if you are in a similar situation. After all, nobody spoils your child quite like a grandparent! 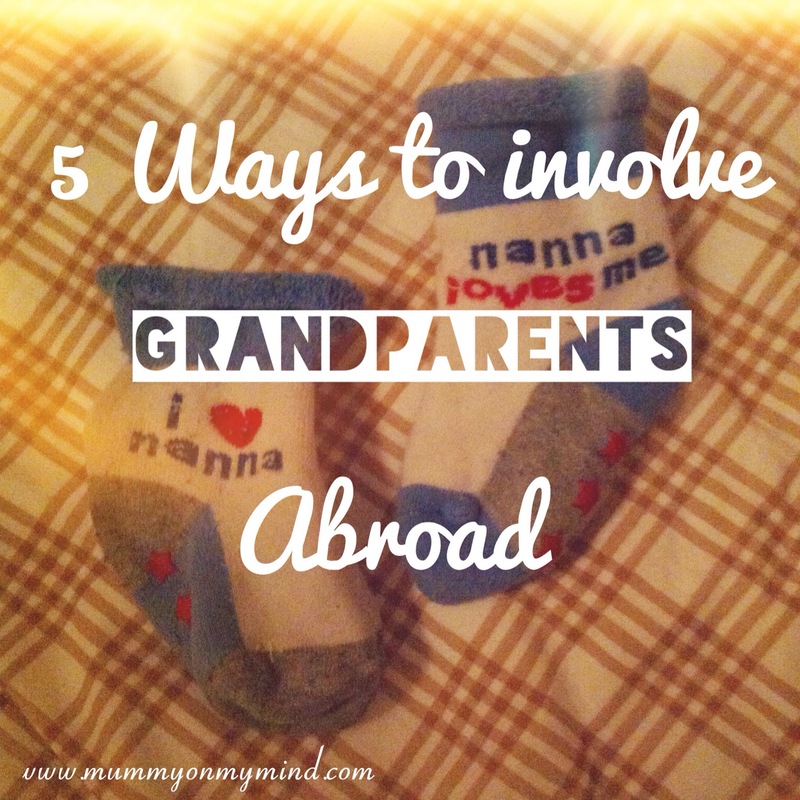 Do you have any other tips that help your child bond with their grandparents? Please feel free to share them in the comments section below! Thank you for your kind words. Yes, I am so excited for them to meet again! Thank You! I’m glad you found the tips useful, and having the blog is such a great idea too! Thanks for reading, and I’m glad you enjoyed the post. You must be so excited about the visit in December! Haha yes, skype is a must!! Thanks for reading, and I am glad you could relate! Skype and whatsapp are so essential, aren’t they! As an expat, I definetely miss being near my parents too. Skype and whatsapp are definitely godsend! I’m in the same boat as you with regards to my parents being far. I always thought it would result in my kids not being close with them but you’d be surprised how they love them despite the distance. Lovely post as always! Thank you, and you’re right! Thank goodness for technology, I don’t know how they did it in the old days!! And I am very much excited for when Baby Z can acknowledge his grandparents through words and show his fondness for them! Thanks for reading! ? Thank you! You’re right, technology has really made being an expat so much easier. I can’t imagine how people went by before skype and whatsapp was around!